There are so many new bingo sites popping up and we've been hearing whispers of the latest one- Scarlet Bingo. 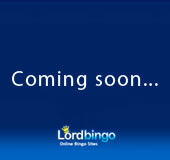 Just one of the many new bingo sites coming soon, there is still little known about Scarlet Bingo. This new site is supposed to launch on the Virtue Fusion network sometime in the coming months and we can’t wait to find out more! So far we know that Scarlet Bingo is a part of 8 Ball Games ltd., which already owns many brands that run on Dragonfish and Live Bingo Network. Hopefully we will hear more about this new bingo site in the coming weeks! Stay tuned for more details on Scarlet Bingo and new bingo sites coming soon in 2015!